Dr. Katerina Gallus and Dr. Trent Douglas discuss popular injectable filler treatments including goals, injection locations, and differences among fillers. 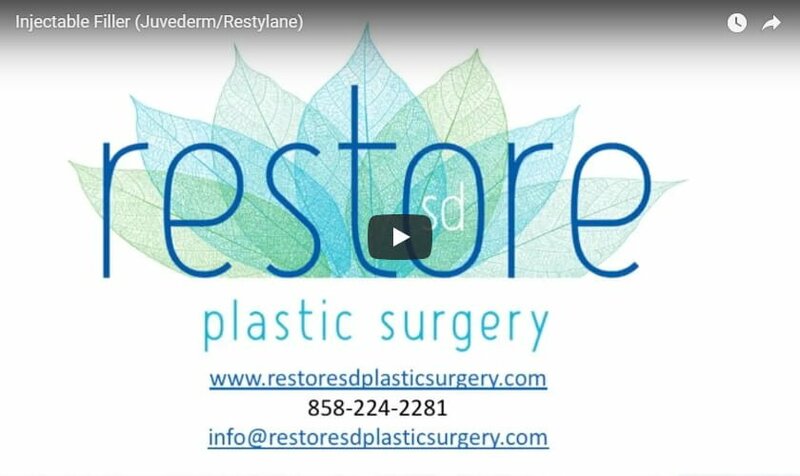 Hi, I’m Dr. Katerina Gallus with Restore SD Plastic Surgery. I’m joined today by my partner… Dr. Trent Douglas. To talk to you about injectable fillers. The goal of injectable fillers is to add or replace facial volume. There are many available fillers on the market today. Most of which are hyaluronic acid based. They come in varying thicknesses and contain numbing medicine for your comfort during injection. Injections are performed in the office and have minimal downtime. Common areas for injections include the cheeks, the nasolabial folds, the smile lines around the mouth, the lips, the nose, and the chin. After injection, you might have some bruising and swelling for a few days. Injectable fillers are very popular and safe, and we enjoy performing them at Restore SD Plastic Surgery. We look forward to seeing you for your consult.